A hot tip: currently, CommRadio offers the CR-1 software-defined tabletop receiver for just $500 (US), until August 1, 2013. Check out the sale on CommRadio’s website and at Universal Radio. 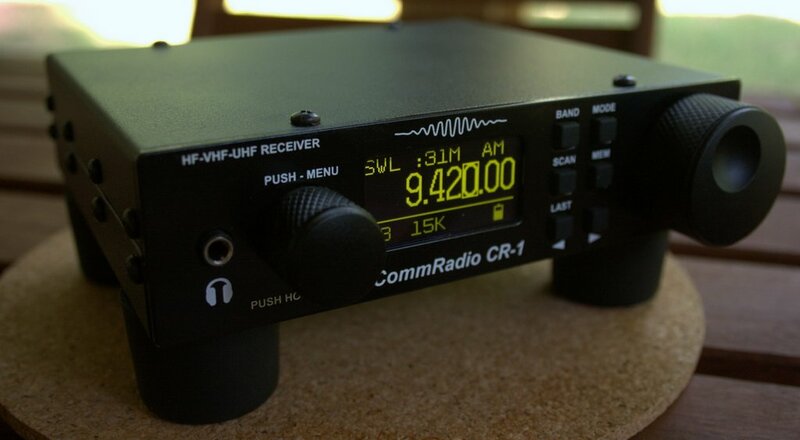 I have been using the CommRadio CR-1 for almost two months now. I had planned to provide a brief review for The SWLing Post by early July, but my travel schedule has simply been too hectic. Fortunately, however, I offer a full in-depth review in the August 2013 issue of Monitoring Times magazine (incidentally, their turn-around time from submission to print is simply amazing). If you subscribe to MT–or can get your hands on a copy–you will have my full review. Many of you have been asking me for my thoughts on the CR-1 so you will know whether or not to take advantage of promotional pricing. Q: Is the CommRadio CR-1 a good deal? Though there are a few negatives, in my book, the positives far outweigh them. 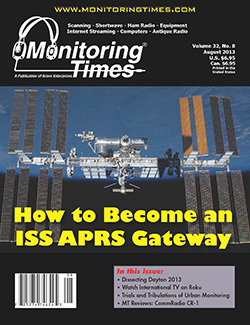 If you really want to dig into the juicy details, I would encourage you to check out my full review in the August 2013 issue of Monitoring Times magazine (especially since MT, sadly, is slated to stop publishing at the end of the year). If you’ve been on the fence about buying the CR-1, I would encourage you to give it consideration before August 1st, 2013, when the price increases to $599 US. Our Promotional Price of $500 will increase on August 1st. All orders made after July 31st will be priced at $599 (battery included). Order now before the price goes up. This entry was posted in Manufacturers, News, Radios, Retailers, Reviews, Shortwave Radio, Software Defined Radio and tagged CommRadio, CommRadio CR-1, CommRadio CR-1 Review, CommRadio Review, CR-1, CR-1 Review, Review, Shortwave Radio Reviews on July 26, 2013 by Thomas. Is there any other place to find your MT review of the CR-1? (Since MT shut down, the only 2013 reviews are ones that they invited for their ‘MT Reviews’ column, which appears not to have included yours — http://www.monitoringtimes.com/html/mt_reviews_2013.html) Thanks. Check back tomorrow–I should be able to post the full CommRadio CR-1 review then. Great!!! Thanks so much. Sounds like a wonderful receiver. I’ve always been leery of computer controlled receivers. Every computer I’ve ever owned has been a veritable RFI beacon so I have to wonder how this (or any) SDR can cope with that. Does it need an actual PC or can it run on a Mac running Windows using Boot Camp, Parallels or other virtualization software? I don’t believe the CR-1 has a notch filter, PBT, RIT, nor sync detector. It’s a simple receiver and best compared to the Palstar R30 series, but has many more features. I need to confirm this when I’m back home and in front of the unit, though. When you can get IQ from the audio jack, you should be able to run this on any OS as many of the open source SDR applications work on Mac OSX, Win, and Linux distros. Hypothetically, when IQ out is available from the USB port, many of the features you listed should be available if the SDR app supports it.